Make sure you enter before the deadline of 1200 noon Tuesday 26th July 2016! 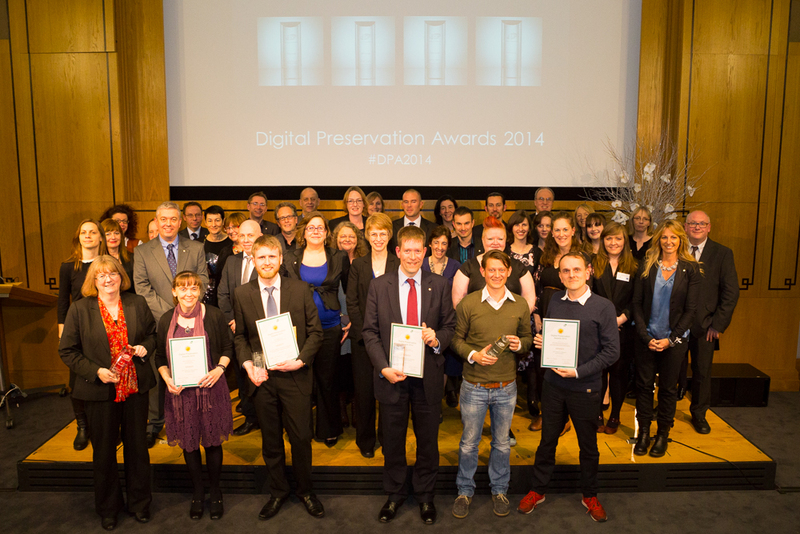 The prestigious Digital Preservation Awards is the most prominent celebration of achievement for those people and organisations who have made significant and innovative contributions to maintaining a digital legacy, and will culminate in a glittering awards ceremony at the Wellcome Trust in London on Wednesday 30th November 2016. The work of finalists and winners of the Digital Preservation Awards enjoys an elevated profile within the digital preservation community, with individuals and organisations often finding themselves in a much stronger position for further funding and future development. The Award for Research and Innovation recognises excellence in practical research and innovation activities. The award includes a cash prize of £1000, a trophy and certificates. The Award for Teaching and Communications, recognising excellence in outreach, training and advocacy. The award includes a cash prize of £1000, a trophy and certificates. The Award for the Most Distinguished Student Work in Digital Preservation, encourages and recognises student work in digital preservation. The prize includes attendance at an international conference, a trophy and a certificate. The Award for the Most Outstanding Digital Preservation Initiative in Industry, encourages and recognises the adoption of digital preservation tools and approaches in a commercial environment. The award includes a cash prize of £1000, a trophy and certificates. The Award for Safeguarding the Digital Legacy, celebrates the practical application of preservation tools to protect at-risk digital objects. The award includes a cash prize of £1000, a trophy and certificates. The Digital Preservation Coalition Fellowship, this new award will be presented to an individual, recognising a sustained and impactful contribution to the digital preservation community. The award includes a trophy, certificate and honoary personal membership of the DPC. The result of the design phase of the PREFORMA project has been nominated for the Award for Research and Innovation. The main outcome of this phase is the design of conformance checkers for text, image and audio-visual data sets. It includes the full set of technical and functional specifications for developing and deploying the open source tools, which allow memory institutions to verify whether their digital files comply with the standard specifications of specific file formats intended for long-term preservation. It defines also the terms of reference to establish the open source community committed to sustain the software, generate users’ feedbacks, and improve the standard specifications. The Digital Preservation Awards are supported by leading organisations in this specialist field, including the Nationale Coalitie Digitale Duurzaamheid (NCDD) and National Records of Scotland. Once again kindly hosted by the Wellcome Trust, their London premises on Euston Road will add to the glamour of the awards ceremony on Wednesday 30th November 2016. For further information and to find out more about how to enter visit the DPA 2016 webpage. The conference, organised by PERICLES project in association with the DPC Awards 2016, is aimed at those working to develop digital preservation policy, strategy and procedures; establish digital preservation infrastructures and workflows; systems developers, providers and procurers; and those interested in seeing the systems and tools developed that reflect their needs and environment. William Kilbride of the Digital Preservation Coalition invites the digital preservation community to participate in a new initiative that will hold a big interest for a couple of years and which aims to build into a platform for collaboration in the future: the review of OAIS, the ISO14721 standard for digital preservation, which is planned in 2017. 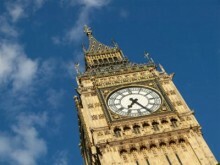 The 10th International Digital Curation Conference was held from Monday 9 February to Thursday 12 February 2015 in London. This year's theme was "Ten years back, ten years forward: achievements, lessons and the future for digital curation". PREFORMA project has been hosted in the DCH-RP stall at the workshop on digital preservation sustainability on the EU policy level organised in London in the frame of the JCLD/TPDL 2014 Conference.